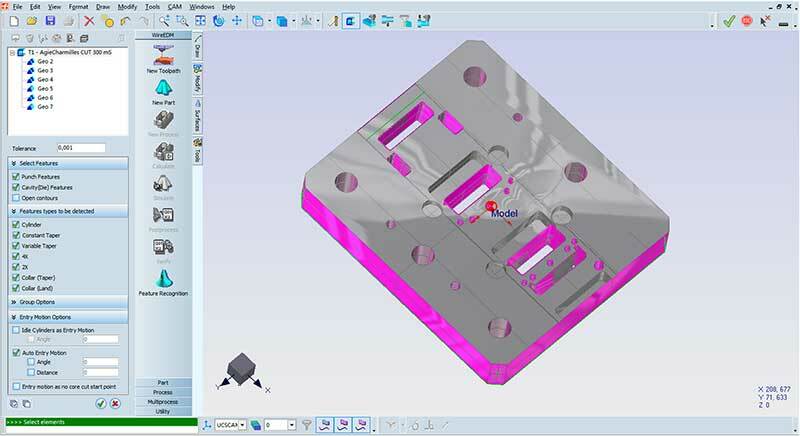 Fikus visualcam analyses the 3D model and recognizes all the features that can be cut with wire EDM. Features recognized by Fikus include cylinders, constant and variable taper,4X geometries and collar features. The entry motion can also be created automatically. The generated geometries may be also automatically grouped and linked to apply the cutting technology in just one step. The recognized features can be directly used in the specific wire cut edm machine technological wizard and all the cuts will be created automatically by Fikus ready for simulation and postprocessing. 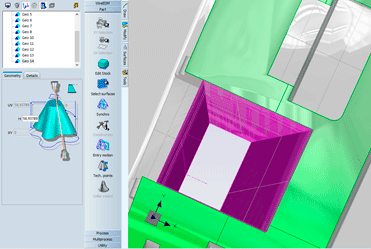 All specific machine wizards for each machine maker (GF Machining Solutions, Sodick, Mitsubishi, FANUC, and more) can work with the geometries generated by Feature Recognition.